Saskatchewan's legal battle against the carbon tax is not about whether climate change is real, but whether Ottawa is violating provincial jurisdiction with its price on pollution, one of the province's lawyers said Wednesday in its constitutional challenge to the new federal policy. Saskatchewan's legal battle against the carbon tax is not about whether climate change is real, but whether the federal government is violating provincial jurisdiction with its price on pollution, one of the province's lawyers said Wednesday in its constitutional challenge to Ottawa's policy. 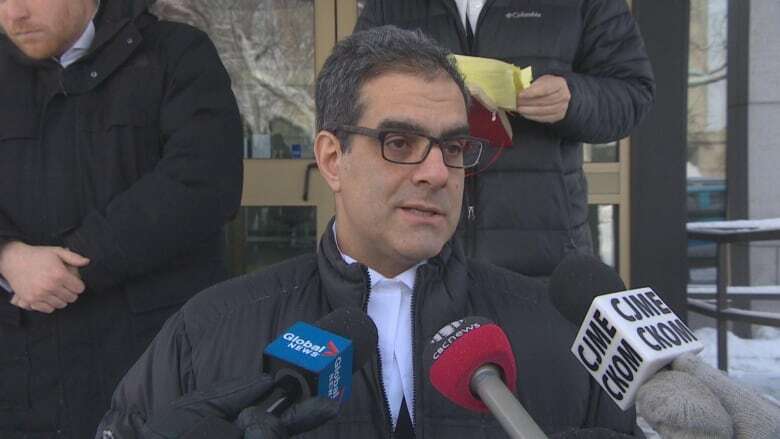 "The government of Saskatchewan is not made up of a bunch of climate change deniers," lawyer Mitch McAdam said in his opening remarks to the Saskatchewan Court of Appeal in Regina on Wednesday morning. "The government recognizes that climate change is a serious issue that has to be addressed and that effective measures are required to deal with greenhouse gas emissions. None of that is in dispute." Instead, the case is about what powers the federal government has and doesn't have, McAdam said at the start of two days of hearings. The court has given CBC permission to live stream proceedings. You can watch on our website beginning at 9:00 a.m. CST on Thursday. Saskatchewan is asking its highest court to answer this question: "The Greenhouse Gas Pollution Pricing Act was introduced into Parliament on March 28, 2018, as Part 5 of Bill C-74. If enacted, will this act be unconstitutional in whole or in part?" Alan Jacobson, lawyer for the province, argued against the federal government's position that the pricing act falls under the peace, order and good government clause in the 1867 Constitution, saying the use of that clause now and in the future is "sweeping, radical and intrusive." He called this move disrespectful to the sovereignty of Canadian provinces, saying, "Ottawa is not a big brother over provinces." The federal government argues climate change is a matter of national concern, and definitively falls under the peace, order and good government clause. The hearings are set to include 16 intervenors, including the Canadian Taxpayers Federation on the side of the Saskatchewan government. Todd MacKay, Prairie director for CTF, called the court case one of vital importance in distinguishing provincial and federal responsibilities. "This is going to take so much money from taxpayers and we just don't feel confidence that it's going to help the environment," he told reporters during a break in Wednesday's proceedings. Nine of the intervenors are supportive of the federal government's stance, including the Athabasca Chipewyan First Nation. Amir Attaran, a professor at the University of Ottawa's Ecojustice Environmental Law Clinic, who is representing the First Nation, said the case holds a stake in the future of the planet, which is being "irreversibly affected by climate change." He pointed out that Saskatchewan Justice Minister Don Morgan has agreed climate change is a national concern. "But for some odd reason, he sent his lawyer to argue against the national government doing anything about a national concern," he said. "This is the central paradox and incoherence of Saskatchewan's position." The province argues the carbon levy is an unfair, uneven, illegal tax and that it violates provincial jurisdiction. The federal government argues it's a regulatory charge, not a tax, and so it has jurisdiction because carbon emissions are a matter of "national concern." For its case, Ottawa says: "We have been expanding federal jurisdiction under the peace, order good government clause over and over again for half a century. For a century we barely used it but we've been using it more. And each time it happens, it feels kind of big," said John Whyte, a constitutional lawyer and former deputy attorney general of Saskatchewan. "[Canada] will have to have the court believe that measures to reduce carbon emissions into the atmosphere is a matter of concern to the nation." Whyte said that in his opinion, the federal government's case is stronger than Saskatchewan's. "There is no knockdown winning argument for the province here." 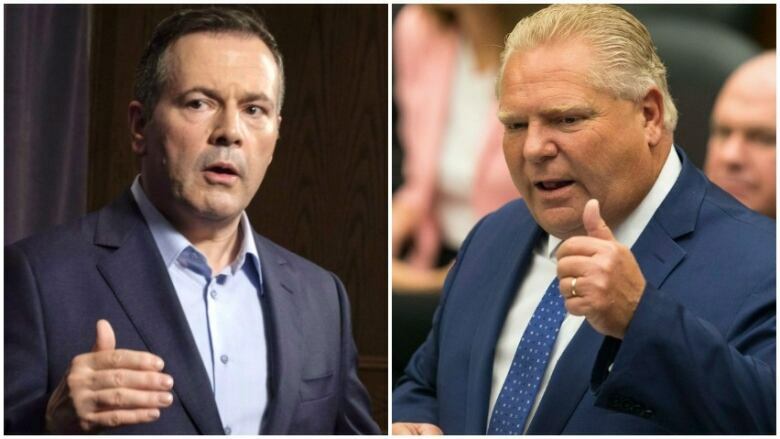 Both Canada and Saskatchewan get three hours to make their arguments: Saskatchewan on Wednesday morning and the federal government on Thursday morning. Six on Wednesday in favour of Saskatchewan. Nine on Thursday in favour of the federal government. Three provinces — Ontario, New Brunswick and British Columbia — that will each get 30 minutes to address the court. The 13 others interveners will receive 15 minutes each, including for an address and questions from the judges. CBC Saskatchewan reporter Adam Hunter is in court to cover the legal challenge. Follow what's happening through his tweets below. For those on mobile, click here. The province of Saskatchewan is asking the court to rule the Greenhouse Gas Pollution Pricing Act is unconstitutional and should be declared beyond federal authority or void and unenforceable. The province argues the federal government cannot impose a policy that treats provinces unequally. "This case is not about the risks posed to the country by climate change," reads the province's written argument. "This case is not even about whether a carbon tax is a good or a bad way to reduce the greenhouse gas emissions that fuel climate change. This case is fundamentally about the nature of our federation. 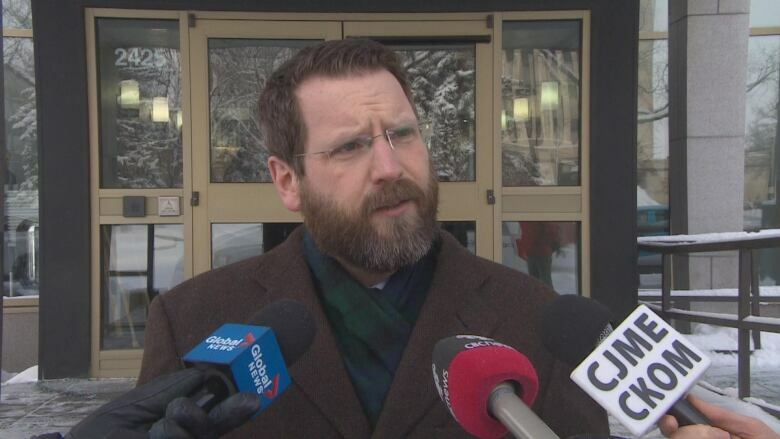 "The legislation is unconstitutional because it disregards fundamental principles of Canadian constitutional law, in particular, the principles of federalism." 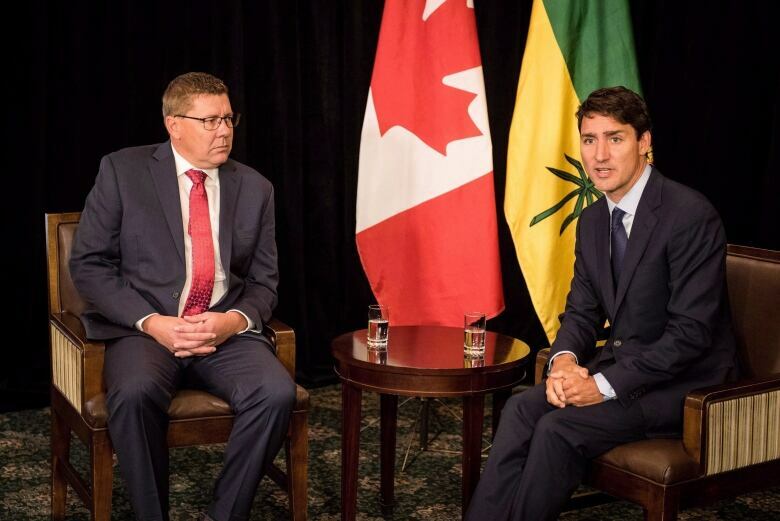 Don Morgan, Saskatchewan's minister of justice, said the federal government cannot tax provinces differently based on how much they like or dislike a specific province's plan to reduce carbon emissions. "Our goal is not to have a carbon tax in our province, and this is our ability to challenge," Morgan said. 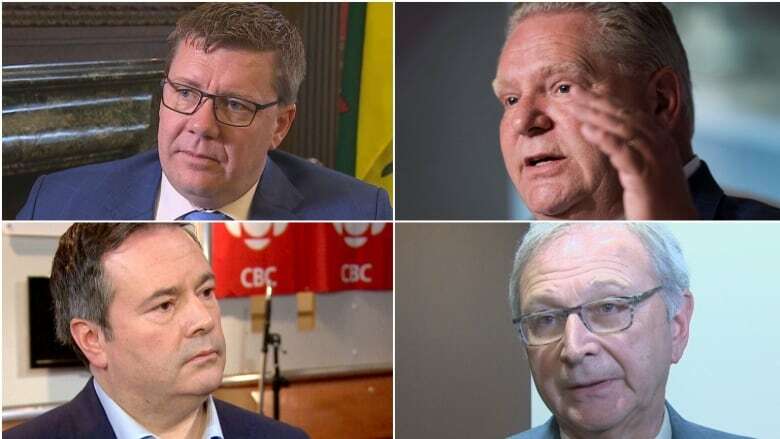 "Politically it's important for the message to the people of our province that we are sticking up for them, that this is something that's fundamentally important to us as an oil-producing, energy-exporting province." Morgan said the province would not seek an injunction if its case is unsuccessful. "Canada seeks the court's opinion that the whole of the Greenhouse Gas Pollution Pricing Act is validly enacted under Parliament's power to pass laws for the peace, order and good government of the nation as a whole respecting GHG emissions, being a matter of national concern," reads the government of Canada's argument. Its submission asks the court, if it rules against the federal case, that it suspend its declaration until after the Supreme Court of Canada makes a ruling in the event of an appeal. "Pollution is a national concern. Carbon pollution doesn't know any borders," federal Environment Minister Catherine McKenna said. "Unfortunately some provinces did not step up, unfortunately provinces led by Conservative politicians, who believe it should be free to pollute." Government of Canada - 3 hours. Province of British Columbia - 30 minutes. The Canadian Public Health Association - 15 minutes. Athabasca Chipewyan First Nation - 15 minutes. Canadian Environmental Law Association And Environmental Defence Canada - 15 minutes. Assembly of First Nations - 15 minutes. David Suzuki Foundation - 15 minutes. Ecofiscal Commission of Canada - 15 minutes. Intergenerational Climate Coalition - 15 minutes. Climate Justice et. al - 15 minutes.